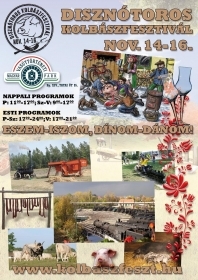 HUNGARIAN RAILWAY MUSEUM – PORK AND SAUSAGE FESTIVAL – BUDAPEST – 2014. The event will be open from Friday to Sunday. Even though the Fall is here to stay, the festivals in Budapest go-on-and-on. The pork sausage festival is known and awaited by many people and look forward already to take part in it … not only because of the delicious snacks, crunchy-munchies, but also because a line of great programs to choose from in one place. This coming week-end holds so much, as to eat, to drink, razzle-dazzle and for the dancing feet the rhythm will be present. The pork sausage festival in addition to the delicious food can also experience many other entertainment for the whole family and friends to get together and take part in the tastings enjoying your timeout. The venue will be at the Railway Museum, nearly at 100,000 square meters bringing gastronomic delicacies and one of the world’s best known Bryan Adams tribute band, the Hungarian Room Service Band. The band will bring the Canadian singer best known and most popular tunes to the festival, such as the Everything I Do, the Here I Am, or Heaven, but it is sure to be a favorite ballads of dancing will follow, as we say in the Summer of 69, the Only Thing or the Kids Wanna Rock.